MT offers best linen printers to our clients by latest technology and experts. MT linen printers ensure for better printing quality & mass production. MT linen printers offer linen printing in different colors and designs as per the client’s requirement. Digital textile linen printers printing can reproduce many colors and shades on all types of fabrics. 1.New digital textile inkjet control system was equipped with Digital Linen Printers. It supports variable dots size setting to provide higher ink covering volume per unit in order to improves higher production capacity. 2. High-speed printing! Epson DX5, Ricoh Gen5 or Xaar1201 industry grade printheads are optional for Digital Linen Textile Belt Printers. Those are the most popular printheads for digital textile printing industry in the world, especially in Europe and North America. Because, it suit for big lots continue and unstoppable industrial production. They are high durability and high resolution printheads to provid the printing speed up to 100 sqm/h, which can meet the demand of volume production for Digital Linen Printers. 3. Digital Linen Textile Belt Printers can match the width on fashions and home textile application request. It can print and produce various colorful textile fabrics that can be used in our life. The maximum printing width for MT digital Belt Textile Printer is 1.8m. 4. Digital Linen Printers provide Professional textile belt carrier system. This system can carry the textile fabric without tension, suit for both of the stretchable and un-stretchable textile fabric. 5. Digital Linen Textile Belt Printers support various textile dye inks, suit for different types of fabric. 6. 4 or 8 colors ink is available for Digital Linen Printers. They are really support double 4 colors and CMYK plus 4 special Neon colors(fluorescence colors) printing, be able to get wider color gamut. 7. Digital Linen Textile Belt Printersequip with all in one fabric feeding in and rewinding system, plus three sets of fabric drying heater unit. 8. All-in-one computer operation platform equip with Digital Linen Printers. 9. 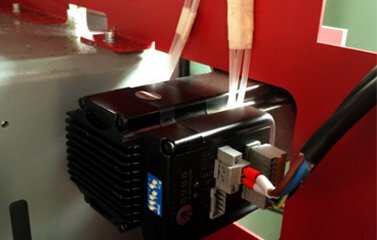 Printhead printing height is adjustable for Digital Linen Textile Belt Printers. 11. Digital Linen Printers equip with Bulk Ink Continue Supply System. The Digital Textile Belt Printer installs 8 bulk ink tanks (2L/tank) and 8 cartridges (220ml/pic) that will keep long time stable working with non-stop ink supply. 12. Digital Linen Textile Belt Printers adopt Advanced Belt conveyor device with Auto Deviation Correction system. a. Import German “Sieglin” is equipped with Digital Linen Printers. Conveyor belt is especially for digital textile printing; it can work over 10 years. 13. Belt auto self-clean & drying system is equipped with Digital Linen Printers. Digital Linen Printers are digital textile printer series and developed by MT Industry with great efforts and great capital invested. Based on the strong ability and rich experience in digital textile inkjet technology, MT will supply full support for digital textile inkjet printer to all users. Although the Linen fabric is prone to wrinkling, a flat iron press can easily correct this, whether in bulk or for a small garment. Linen is also an excellent choice for creating personalized photo-prints since it is a conducive fabric for inkjet Linen printers owing to its open weave. Pre-treatment is generally recommended before printing on linen printer for best results. Linen printing is amongst the most favored textiles for personalized gifts, patchwork quilts, and even items such as embellishments on backpacks. Because of its durability, strength and breathability, it has been used across industries for a wide range of purposes! Utilitarian as well as decorative and luxurious. Made from the flax plant, its significant advantage in strength over cotton or silk is more than two or three times. Its natural off-white color lends itself very well to dyeing and is therefore a fabric of choice when a large spectrum of shades and hues are to be printed. 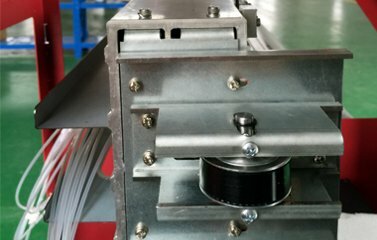 Digital Linen Textile Belt Printers are applied in textile printing Industry to replace traditional Linen printing techniques, which is the solution of both large batch & small batch, low cost, fast printing requirements. The productive printing speed and width options achieve the possibility of meeting the fabrics printing requirements with digital printing method.